This maple roasted butternut squash is the perfect side dish to a warm and cozy fall meal or the salad topping you never knew your life needed. If there is one specific food that catapults me from plucking summer tomatoes in the garden for scalloped tomatoes to strolling the fall farm markets, aside from apple slab pie and pumpkin blondies, it’s butternut squash. I love it pureed, in soup form, studded throughout creamy risotto, and stuffed inside a baked sweet potato. I am completely enamored with butternut squash!! My favorite way to cook it, however, is roasted in a super hot oven, coated with maple syrup and plenty of salt and pepper! The syrup helps to caramelize the squash, thus turning this maple roasted butternut squash into the best thing that ever happened to the best salad ever. I’ve also tossed it with this kale and quinoa salad with raging success. I do have a few other ideas for this maple roasted butternut squash up my sleeve as the leaves continue to change here in New England and that crisp fall sweater weather-air settles in. Call this maple roasted butternut squash early Thanksgiving food, if you must. I call it fall veggies at their best. 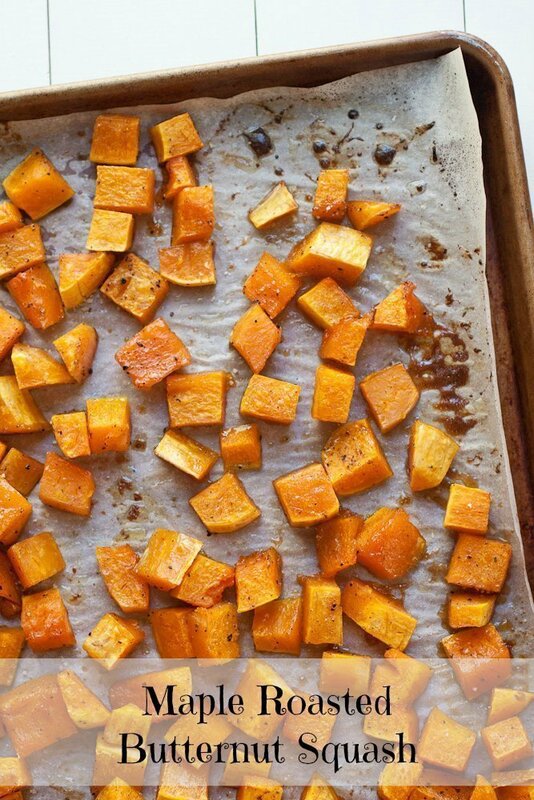 The #1 brilliant hack for you to make the easiest roasted squash is to buy pre-cut squash. This will save you A TON of time because it takes forever to peel, clean, and cut butternut squash. 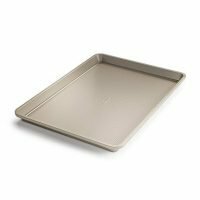 And if you slip a piece of parchment or foil on the sheet pan before the squash, you’ll save yourself from scrubbing the sheet pan too! Maple roasted butternut squash is the perfect side dish to a warm and cozy fall meal, the salad topping you never knew your life needed, or mixed into creamy risotto for a delicious meal. 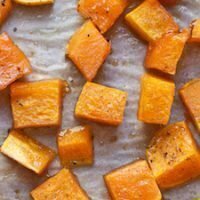 Preheat oven to 425° F. Scatter the cubed squash on a large baking sheet and toss it with all of the ingredients until well-coated. Roast for 20 minutes, flip the pieces over with a spatula, and continue to roast for another 10-15 minutes, until the squash is soft and slightly browned with some caramelized spots. Serve hot or chill in an airtight container for up to 3 days. Save yourself a ton of time and buy pre-cut butternut squash rather than peeling, cleaning, and cutting it yourself! 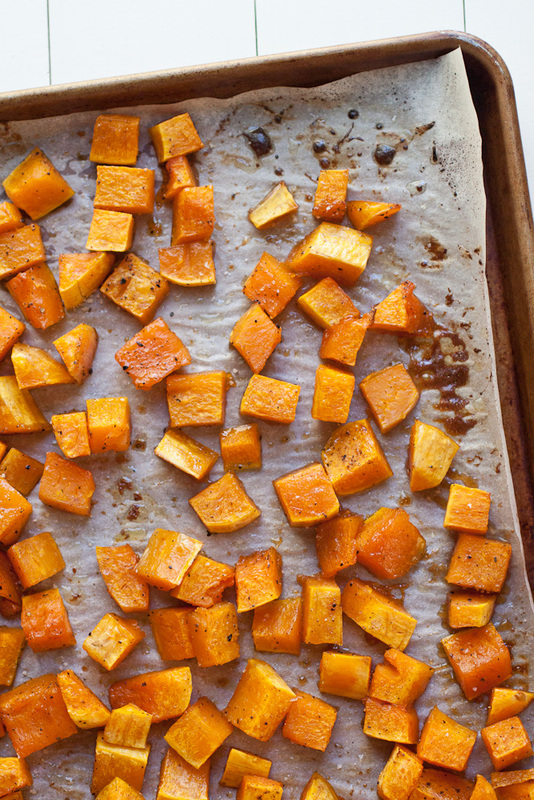 Preheat oven to 425° F. Scatter the cubed squash on a large baking sheet and toss it with all of the ingredients until well-coated. Roast for 20 minutes, flip the pieces over with a spatula, and continue to roast for another 10-15 minutes, until the squash is soft and slightly browned with some caramelized spots. Serve hot or chill in an airtight container for up to 3 days.